I have returned from a fun trip with my son and the 9yo munchkin. I was invited to an anniversary celebration in Michigan – home of our first church – and even though I have been back and forth between here and there many times, (make that many, many times) I knew there were some places to go and things to see that I haven’t done or seen before. 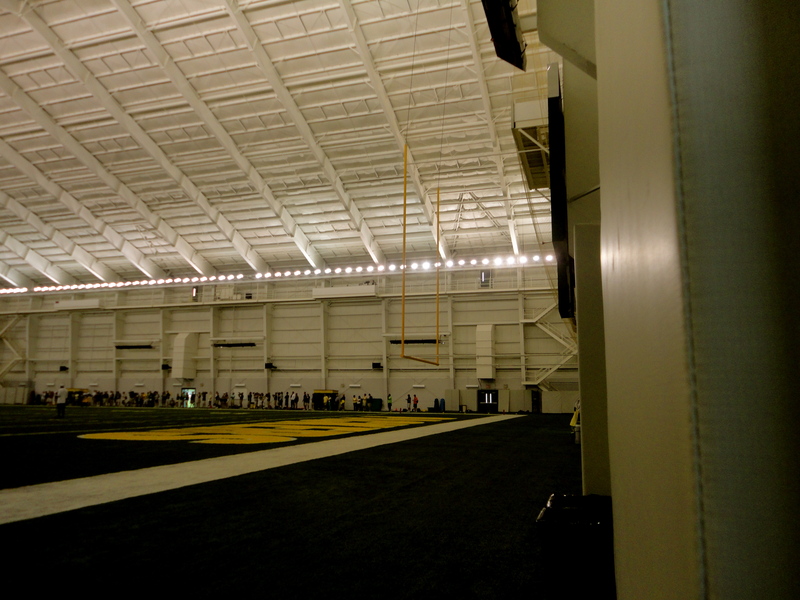 The night before we were to leave, Jeff suggested we stop by the Packers Training Camp at Lambeau Field. I’m not a Packers fan, but I’m not NOT a Packers fan either, so this all sounded like a fun thing to do. Jeff said we should get there early to see the Packers ride the bikes. 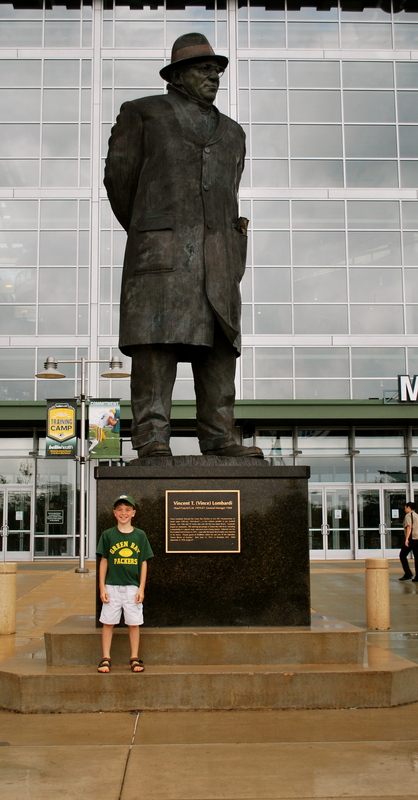 Yes, this is a Packer tradition. 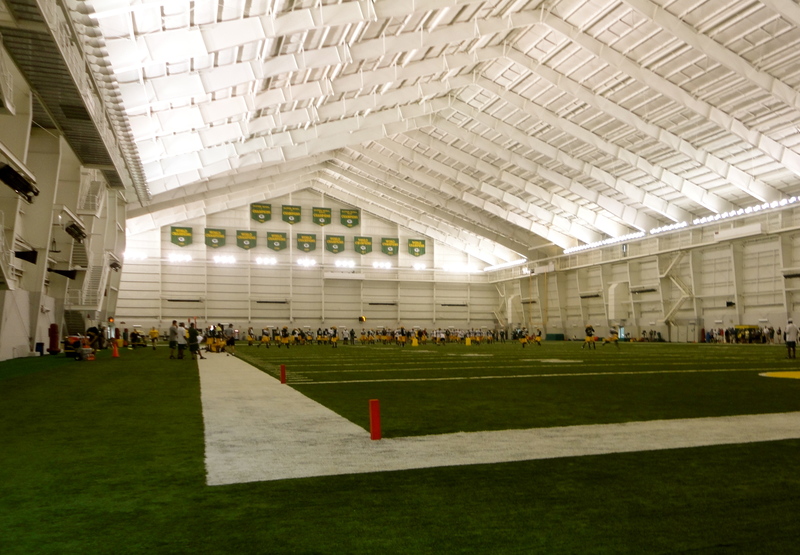 The training facility is approximately a block away from the field, so kids bring their bikes and Packer players will ride them from Lambeau Field to the Don Hutson training facility which I think is cool and almost makes me want to be a Packer fan. 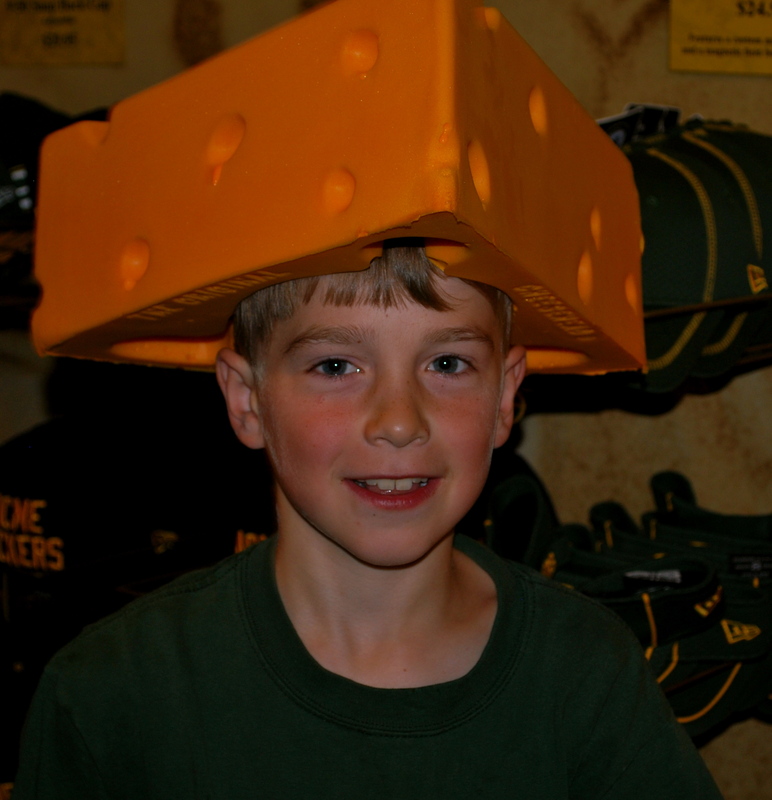 In case you aren’t up on football trivia, the Packers are the only community-owned sports franchise, the last of the many community owned teams from the past. They’re in a small city rather than a huge city and are well-loved. In fact, if you want season tickets to the Packers, you will need to put your name in now because you’ll need to wait an average of 30 years. 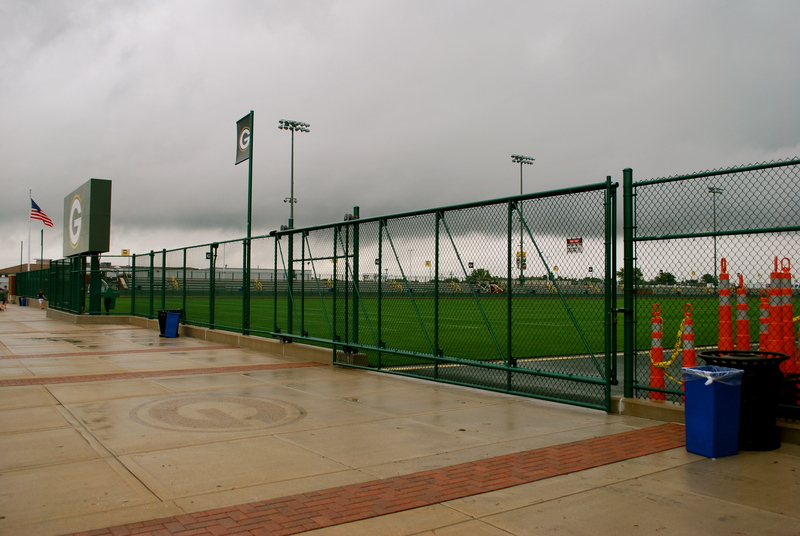 So, we headed for Lambeau Field, but when we got there, rain was steadily coming down and the players weren’t in the training field. 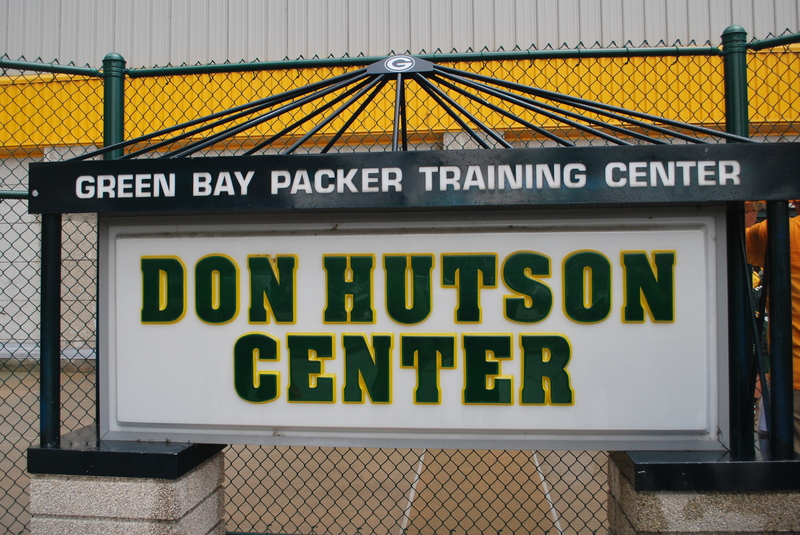 We wandered around the atrium at Lambeau Field itself while outside the rain slowly turned to a mist and Jeff led us across the street to the Don Hutson building thinking the players might be practicing indoors and we could see them. He was right. Doors were open and people were crowded around watching. The 9yo was able to get up close and see what was happening. At this point I made the comment that a very dark cloud was approaching very fast and that we would get very wet. This was the first of many times during this trip that we were soaked – but this was the worse. Our clothes were sopping wet – even my rainproof jacket was wet clear through – but it was all quite fun. 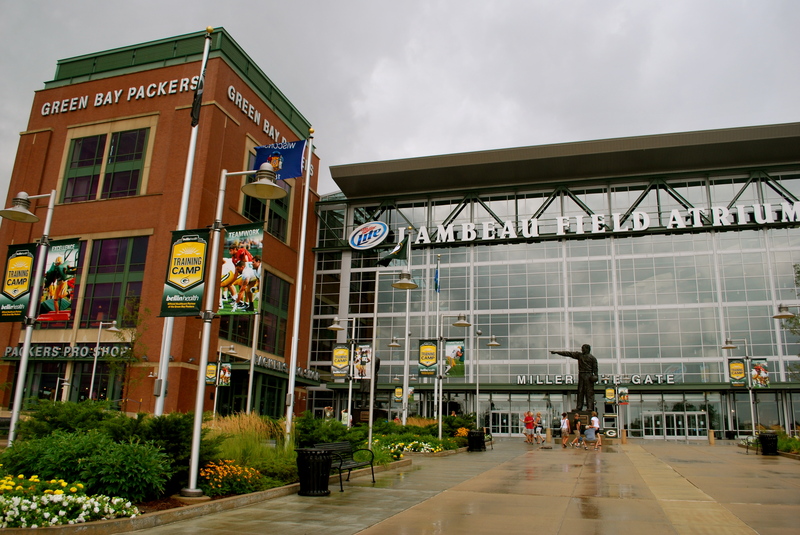 Lambeau Field on a rainy day. The training field across the street. 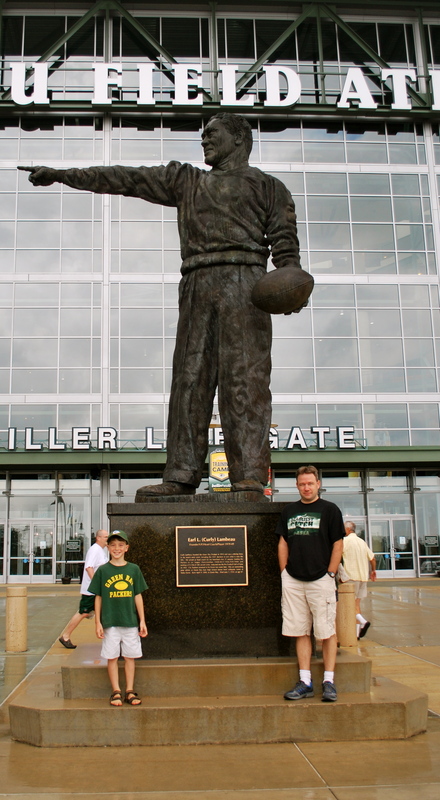 Lambeau himself with the munchkin and Jeff. Wandering around the gift shop. The munchkin took this picture. 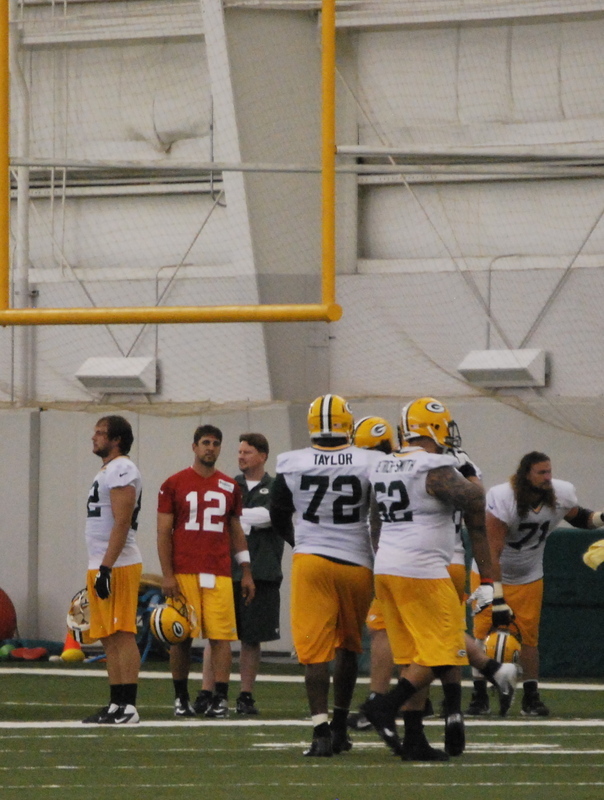 Up close and personal – that’s the quarterback Aaron Rodgers.